Pretty quiet week but still found interesting content for you, this week I cover specifically OpenFrameworks which has an amazing potential with AR for beautiful visual experiences. Also you are already 200+ reading this newsletter, thanks for reading it! 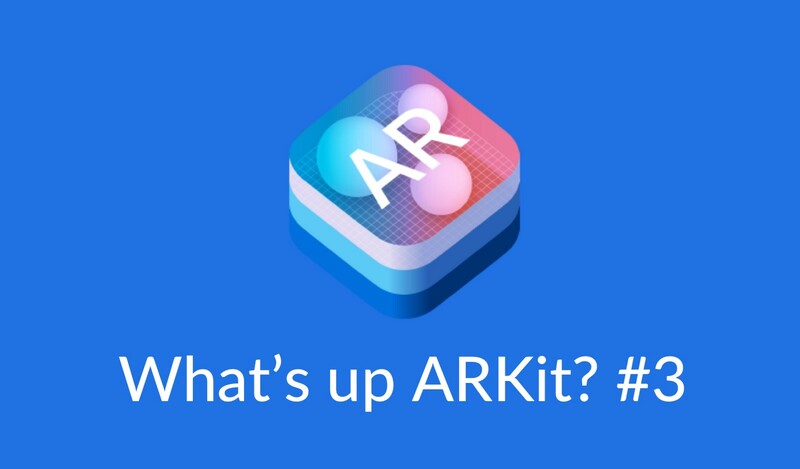 If you want to support the newsletter and sponsor the next issue to feature your course, SDK, or anything interesting related to ARKit, it’s now possible directly on WhatsUpARKit.com. Interesting article explaining how ARKit can be applied to Healthcare Education, Vision Diagnostics, Dental Care, Surgery and Medical Data Access, worth the read! Nathan Gitter’s weekly AR demo is out, Apple Watch + AR interfaces look very futuristic! Check out this great tutorial for placing notes in a Multiplayer AR environment. In case you haven’t heard about OpenFrameworks, it is an open source toolkit, created for “creative coding” with very beautiful visual effects. There was also a very fun application released a while ago using it by the creator Zach Lieberman, you will see it in the AR apps category below. This source code shows how to use OpenFrameworks for interesting visual effects on Facial ARKit by Andres Cuervo. Here is the application by Zach Lieberman, the creator of OpenFrameworks I was talking about before, very fun app to play with! Blaine Hodge just updated his game Super Jump Soccer with a nice ARKit feature, tried it and liked it, very smooth and it is free!